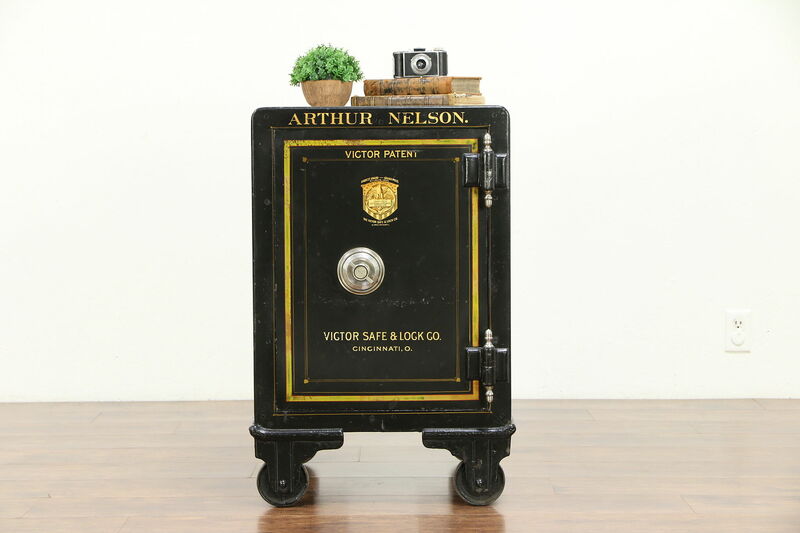 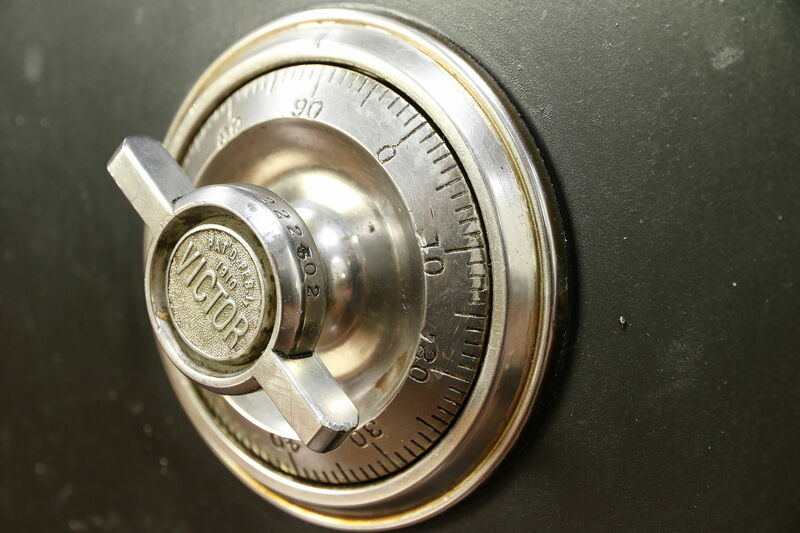 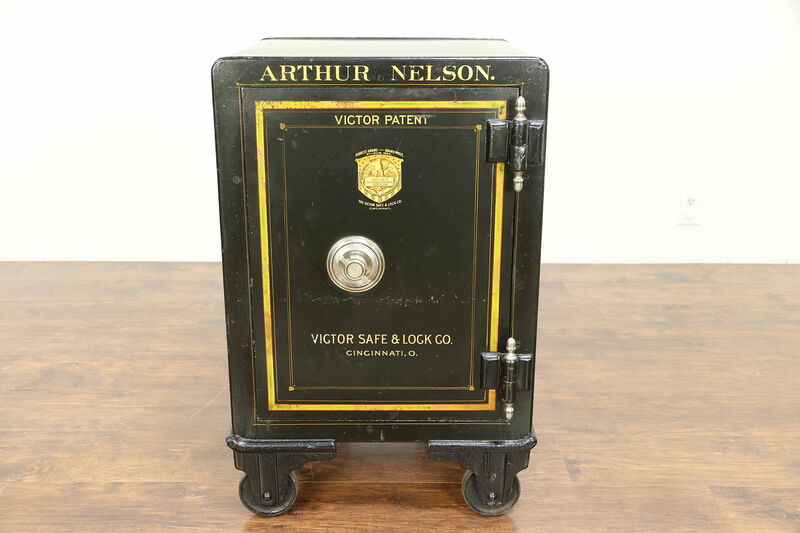 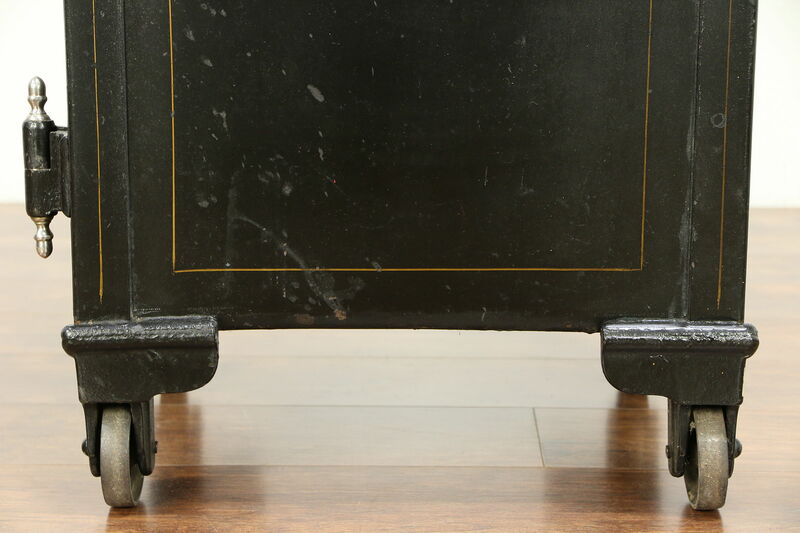 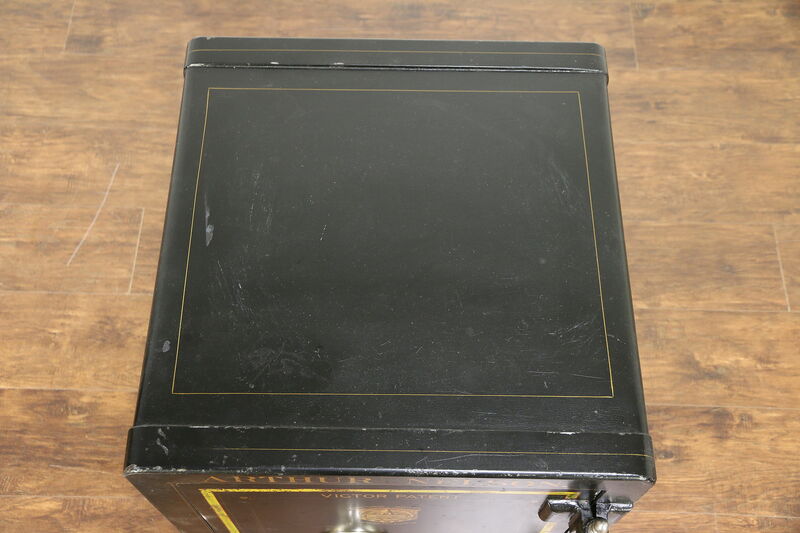 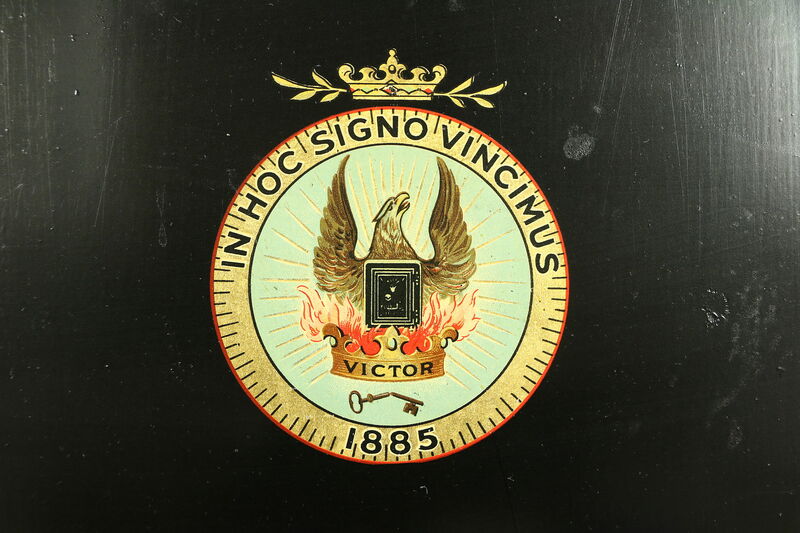 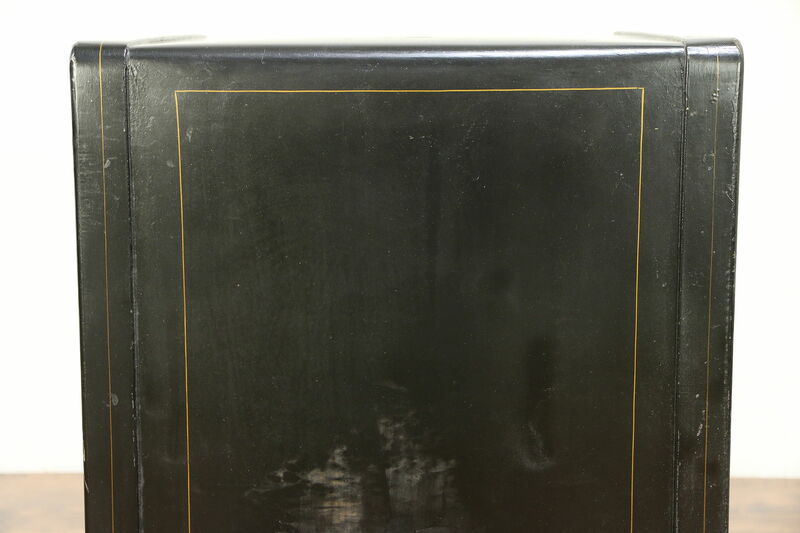 A cast iron safe is signed "Victor Safe & Lock of Cincinnati, Ohio," and dates from the early 1900's. 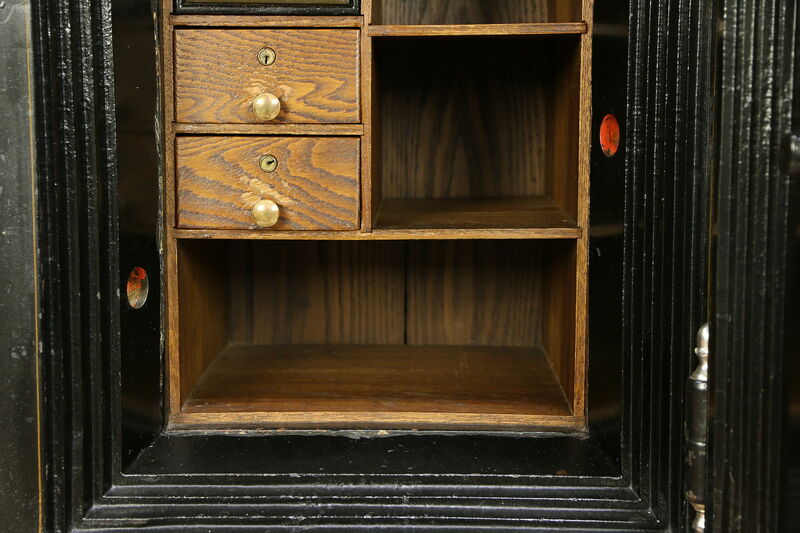 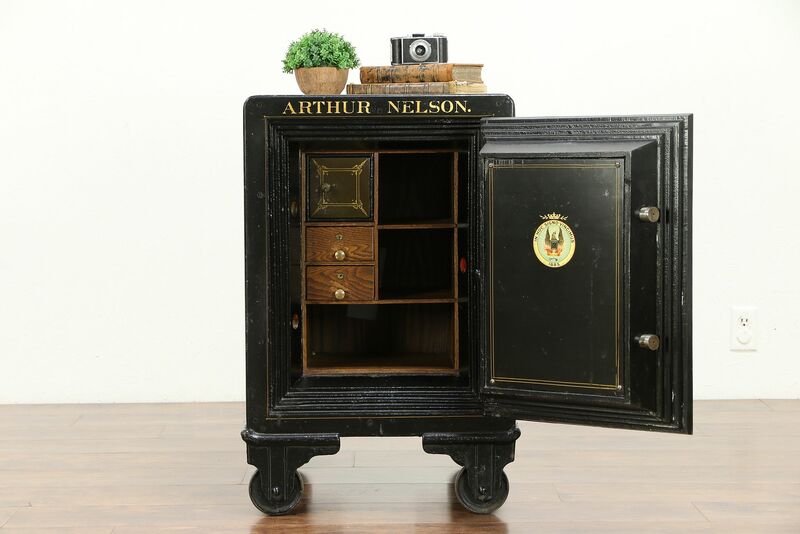 American made antique office furniture, the firm won a World's Fair prize in 1904 as shown. 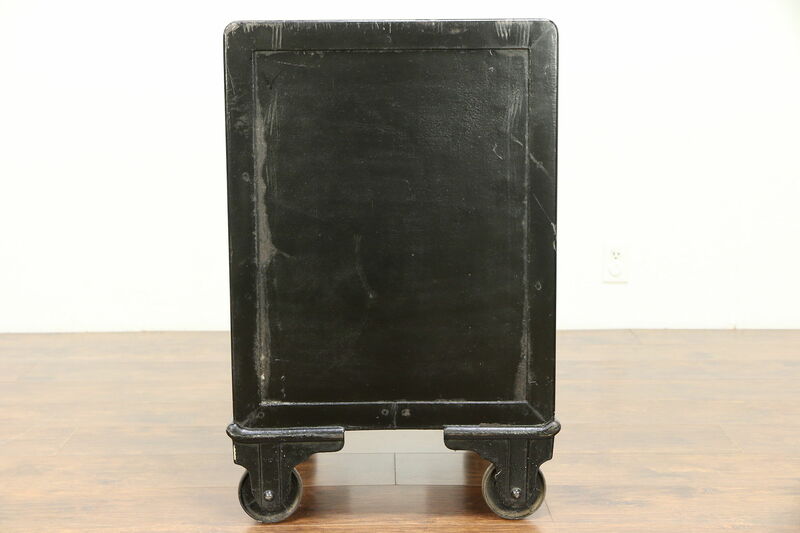 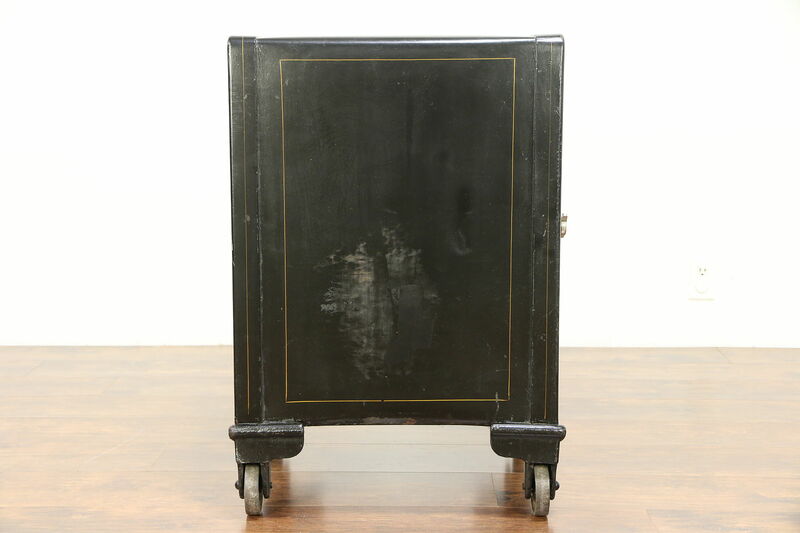 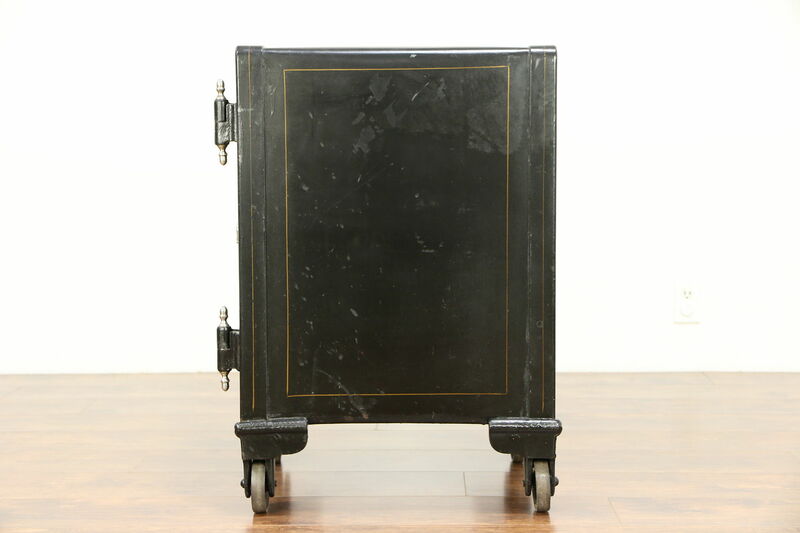 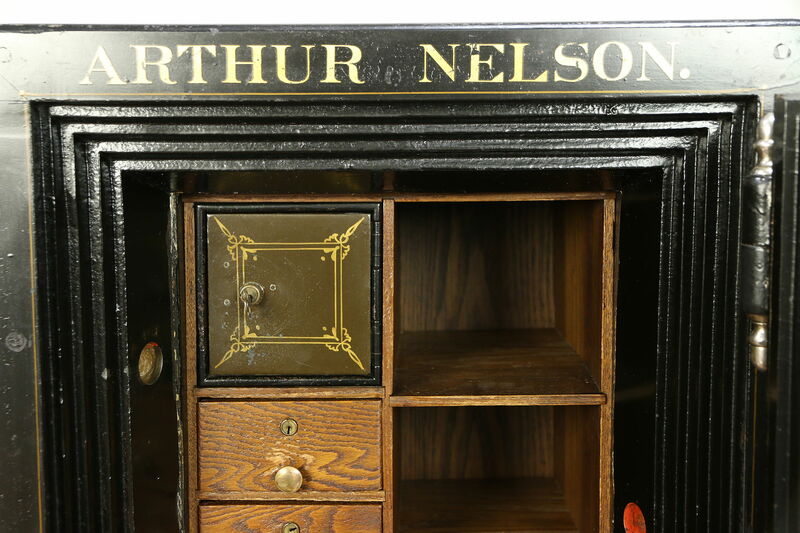 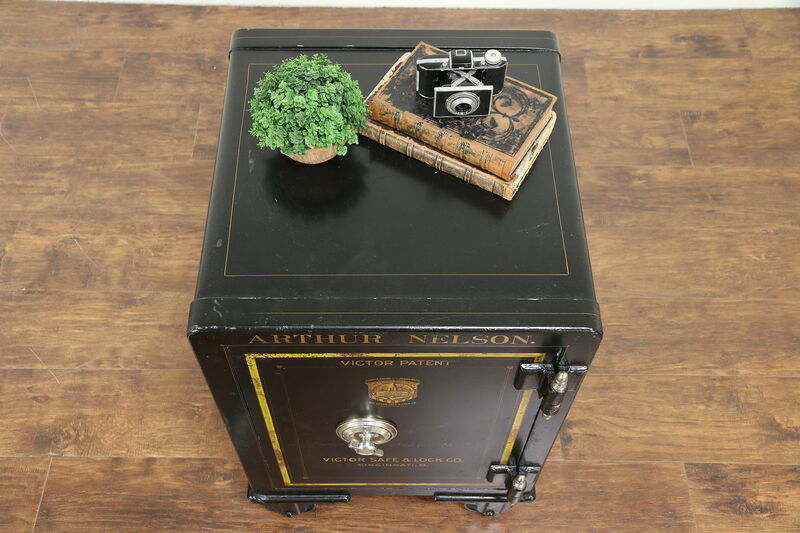 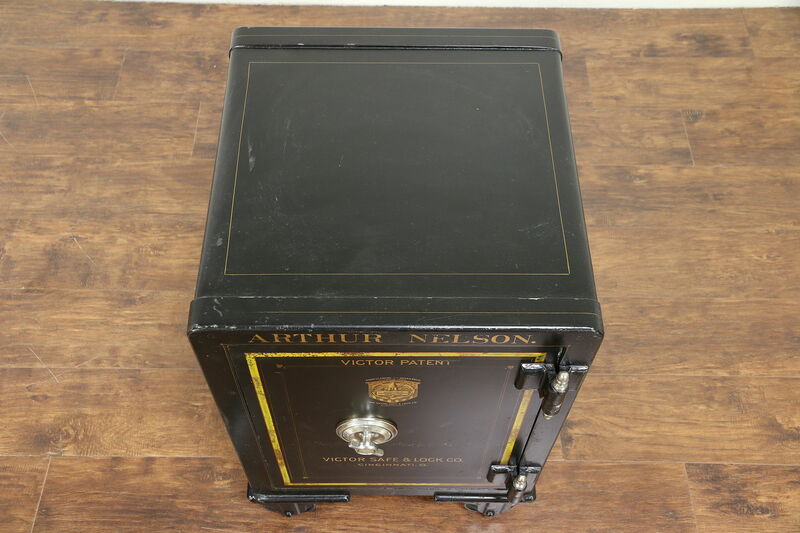 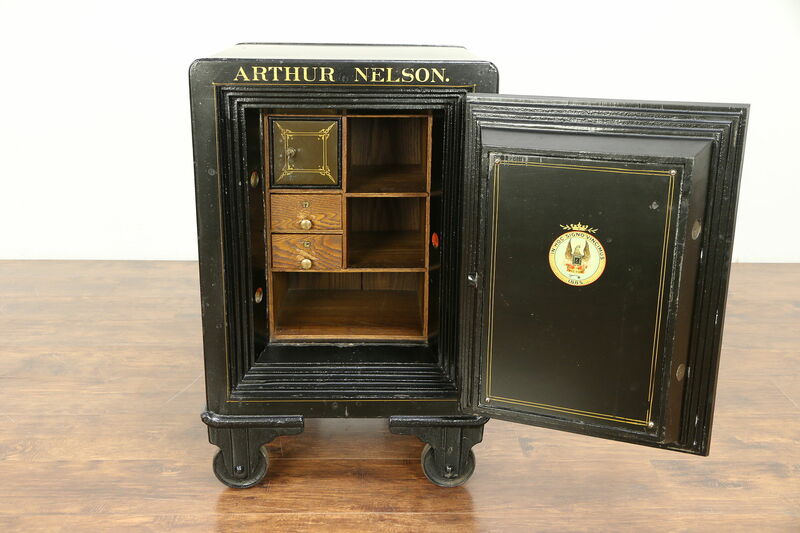 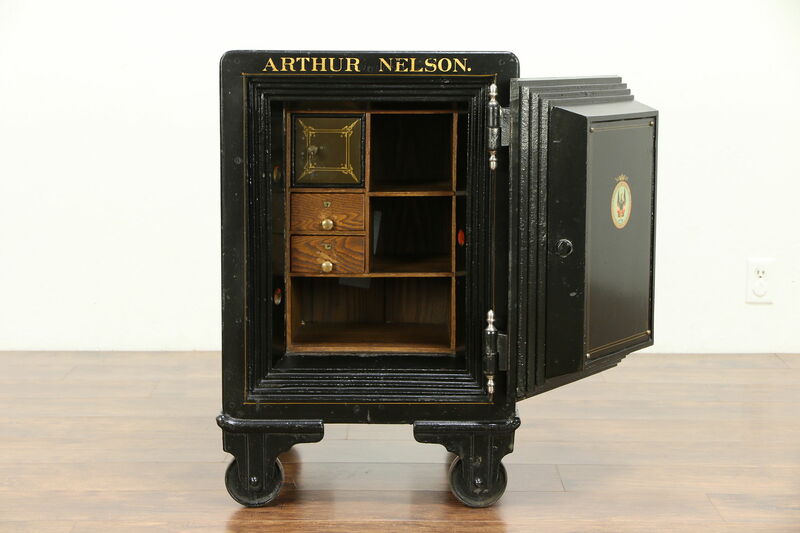 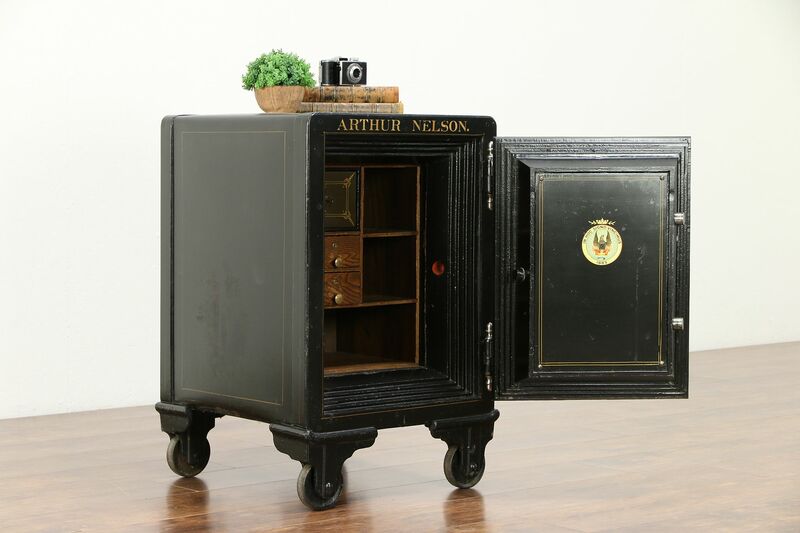 This strongbox was made for "Arthur Nelson." 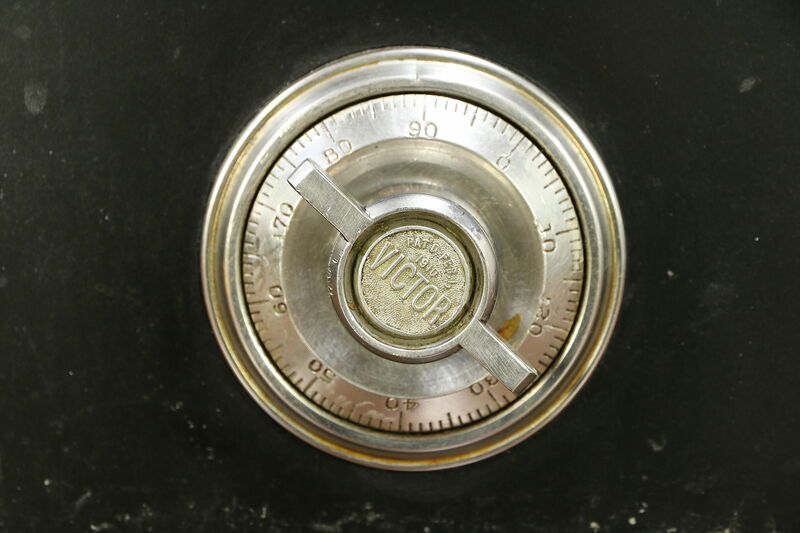 A working combination lock opens the deadbolts on the door, combination is included. 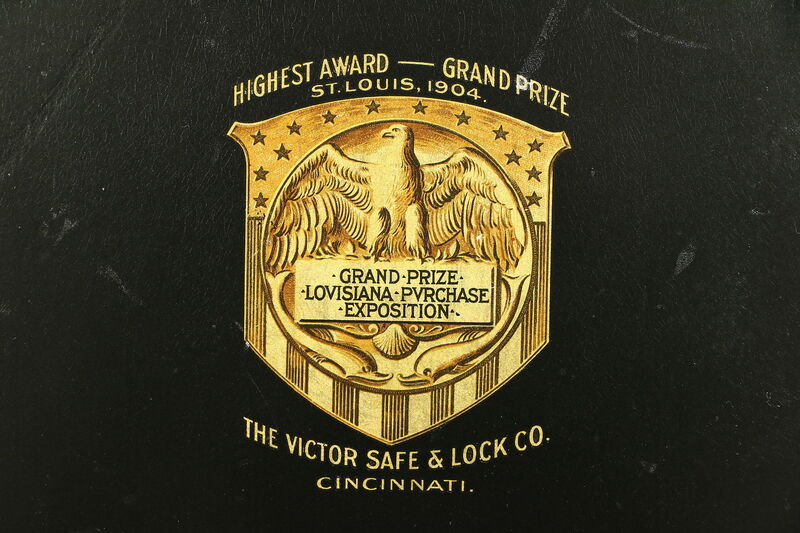 Mounts are original nickel. 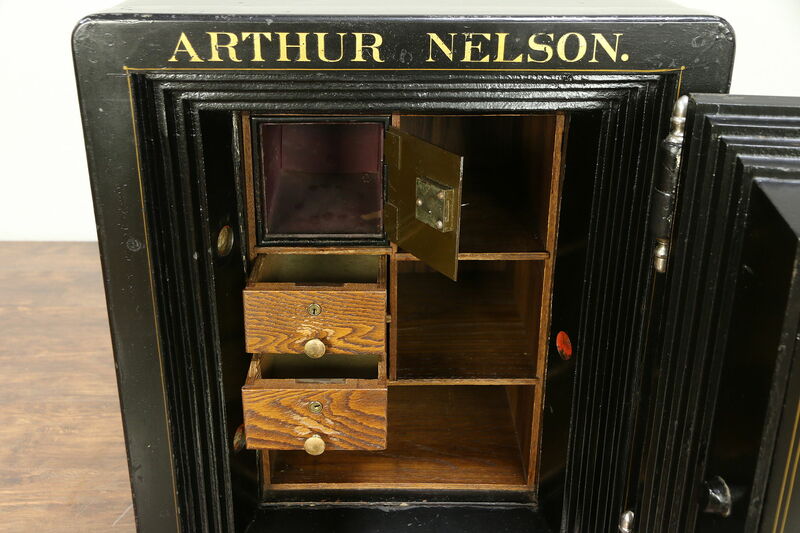 Inside is another door with a key plus small oak cubicles. 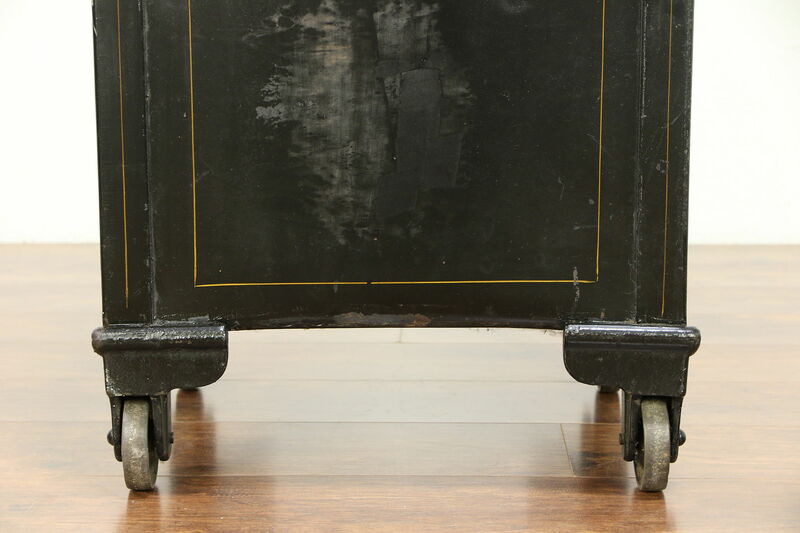 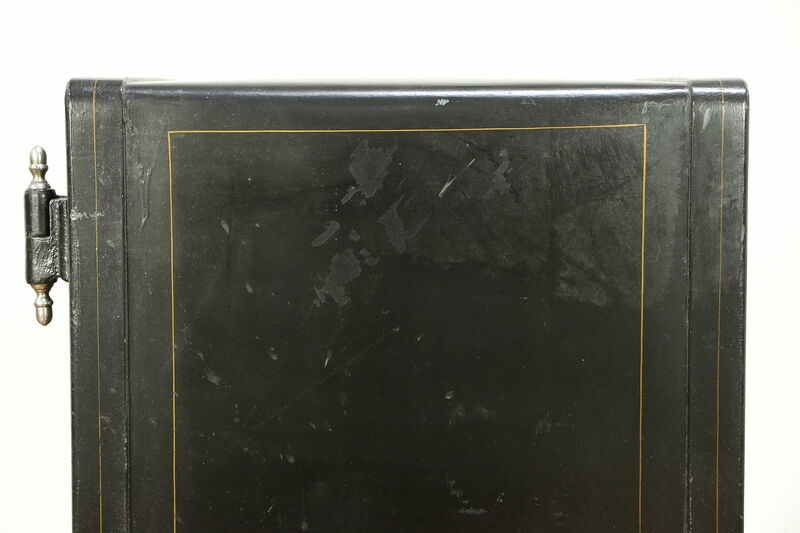 The original black paint, pin striping and logos are in remarkably fine condition, protected with a clear finish. 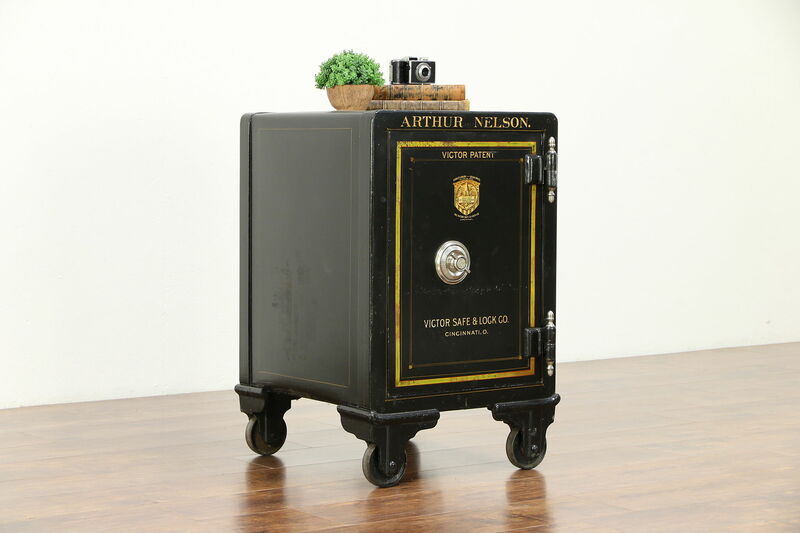 Moving this American made antique is at least a three man job, but the door lifts off making it slightly lighter and it does roll on the iron wheels. 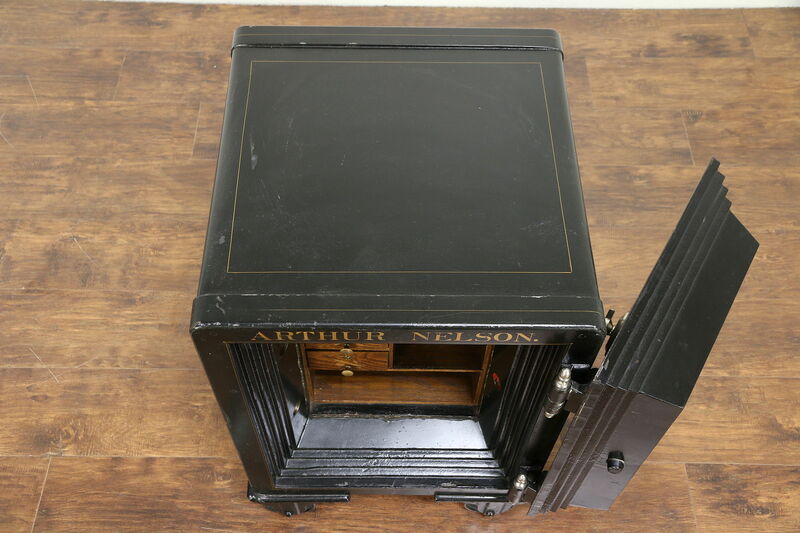 Measurements are 21" wide, 22" deep and 31" tall.